Falanghina is a white-wine grape probably originating in the Campania region of Italy, which is still its home (though some would trace it all the way back to Greece). In recent times—say the last thirty years—Falanghina has soared back into popularity after a period of relative obscurity. Falanghina makes wines of substantial body and some richness. It is not notably mineral or fruit-forward; rather, it is a soft, pleasing blend of floral and honeyed (but not sweet) flavors. The flavors and acidity are, in well-made specimens, elegantly balanced. It is interesting that some descriptions have it as a notably high-acid wine, while other reviewers describe it as soft and moderate to low in acid; presumably those are simply the results of different vinification methods. Not a few reviewers detect a faintly "salty" quality in Falanghina wines, especially those grown close to the coast; whether that is real or the power of suggestion is hard to say. There are apparently two major strains of the Falanghina grape: that grown around Benevento, and that grown around the Campi Flegrei ("firefields", from being the slopes of extinct volcanos); the latter seems to be the more esteemed. Factoid: Falanghina may have been one of the grapes used in the renowned wine of ancient Rome, Falernian. "It is an ancient grape variety which may have provided a basis for the classical Falernian wine, and has considerable character. It is cultivated on the coast of Campania north of Naples, and frequently consumed in southern Italy along with seafood." "Falanghina can have a slightly pine scent, but is better known for its citrus blossom aromas, in particular bitter orange. On the palate it typically shows classic apple and pear flavors, depending on where it is grown, with spicy or mineral notes. . . There are at least two sub-varieties of Falanghina (Falanghina Flegrea and Falanghina Beneventana). The best known production zones are Falerno del Massico and Sannio." "[O]nce you have tasted some of the lower-priced falanghinas, refreshing and bright, thirst-slaking and reviving, you will wonder why you bothered with anything as insipid as a £6 bottle of [Pinot Grigio] at all. Falanghina is light enough for lunch, fresh enough to drink in the garden and tangy enough to sip with food. It tastes good with tomato-heavy Neapolitan dishes: imagine spaghetti soaked in the juice of raw cherry tomatoes, garlic and herbs; or tomatoes baked with marjoram, parsley and breadcrumbs. It’s a joy with fish, too . . . investment in the vineyard and better winemaking techniques have transformed this once-unadmired grape, teasing out its beautiful fragrance and vibrant orange-peel inflections." "Falanghina wines have a pale golden hue like the straw of hay. You'll find that the grapes in Campi Flegrei tend to have a fresh, mineral-pure taste, while those produced in the Caserta zone seem to have a somewhat spicier flavor. Generally you can expect to find balanced acidity with aromas and flavors suggestive of green apples, candied orange zest, subtle spices and seaside breezes. Absolutely perfect for a summer's day. Falaghina grapes do best in soil that is light, porous, and rich in minerals -- aka volcanic areas. Its best expression is brought forth from the areas of Procida, Falerno del Massico, Campi Flegrei and Sannio." "[M]edium-bodied Falanghina offers an amazingly fresh, clean, dry taste, great acidity, and a long and floral finish. It’s almost like it was made for summer weather–the typical flavor profile is ripe fruit in the peach/lemon/pineapple realm with good acidity—more ripe and “tropical” than many wines from Friuli and Alto-Adige regions." "The signature of Falanghina is its vibrant acidity; this is enhanced when the grapes are planted near the coast, as with the Villa Matilde estate in Caserta (Falerno del Massico DOC) or the Campi Flegrei DOC that hugs the shoreline just north of Napoli. Yet even inland in Benevento (Sannio DOC) and in Avellino, Falanghina maintains its healthy acidity. This is a wine with lovely aromatics; apple and pear are most common, but today, the best bottlings offer greater complexity in their perfumes, including notes of quince, acacia, white peaches and even some tropical fruits such as kiwi or guava. As the aromatics are so special, most offerings are aged in stainless steel." "Falanghina hits all the right spots: it is capable of producing wines of real interest with pure, transparent white fruit aromas, often framed by a fine breadcrumb note from lees ageing. Falanghina comes in a variety of styles, from fresh easy drinking wines to serious, ageworthy and minerally samples at modest alcohol levels. 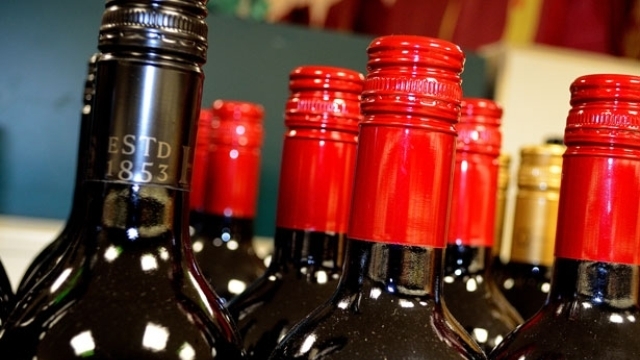 Mature wines can even show a hint of petrol similar to that of aged Riesling." "Wine made from Falanghina has a straw-yellow color, tending toward golden with an intense and fruity nose. It usually has softer acid and a pleasant, persistent finish." "And it's no coincidence that it comes from Southern Italy, a region long known for its lusty, rustic reds but that I'm increasingly coming to recognize as the source of full-bodied, full-flavored complex whites that merit broader recognition. . . A full-bodied, well-structured and complex wine." "This native of Campania, in southern Italy, has a floral-mineral profile that sits well with its mostly coastal environs around Naples, where it is very much a foil to seafood. . I remember the delight of my first taste of Falanghina . . . It was too weighty to be easily dismissed like a Pinot Grigio, too curious to be filed next to most Soave. But the same clean, crisp, stainless-steel winemaking that made Falanghina a star is also causing its Grigio-ification, by which I mean: What had been a curious country grape was taken to the big city, and if it didn’t lose its soul, all those fancy trappings might have stripped some of its character. It is now being made by some of the most notable wineries of southern Italy, and while their interpretations are faultless, they haven’t held my interest nearly so well in the past couple years." Fortunately, there are scads of Falanghina wines now available in the U.S., with many fine examples at quite modest prices. Here are some of the more-often recommended. ♦ From the pioneering estate that first bottled Falanghina in 1979, this elegant wine opens with floral and fruit fragrances of white jasmine, tropical fruit and aromatic herbs. The delicious palate offers juicy white peach, pineapple, mango, nectarine and mineral alongside refreshing acidity. 90 points. ♦ [Google-translated from Italian:] [T]his sip of Falanghina 2007, very well the confirmation of the glass stopper that I find the most expensive solution but at the same time exceptional for the white bells, comes in great dust, with a beautiful aromatic aroma of fruit, apple ripe, floral, Field herbs, to which the touch of minerality takes over that much to the terroir irpino. In the mouth it is crisp, fresh, structured, warm, good-drinking, a mature ripening step over 2006, a vintage annotation that, as Leonardo himself said, is surely extraordinary, with drought and at the same time with healthy and pompous grapes thanks to the September climate change that has put things in place. Still a great classic, in short, confirms an indispensable point of reference for anyone who wants to approach this extraordinary and generous vine. ♦ Lots of ripe apple and pear, waxy citrus skins and a certain minerality. The palate is powerful and concentrated, lots of citrus and taut, mineral salts and acidity. Teasing glimpses of more juicy, nectarine-like ripeness, but that structure and concentrated weight is the driving force. 88 points. ♦ Vibrant and savory, this linear white offers scents of ripe orchard fruit, white flower and a whiff of spice. The juicy palate doles out pear, apple, nectarine and mineral along with a note of ginger. 90 points; Top 100 Wines of 2016. ♦ Made from Falanghina grapes in stainless steel, this wine has a splendid golden-yellow color and a broad and delicate bouquet of tropical fruit, citron and aromatic herbs. The mouthfeel is saline, nervous, taut and very persistent with a compact finish with notes of iodine. A wine that begs to be drunk. ♦ The wine is a dark golden color with an intense nose showing acacia, pear, apricot and candied citrus. The flavors on the palate follow the nose; the texture is unctuous and the acidity high. The finish is long and pretty. ♦ Donna Chiara’s still Falanghina showed equally well, with even more of the characteristic minerality and acidity in evidence. It even displayed a touch of elegance. While that is not a common trait in Falanghina, which usually relies on a sort of straightforward friendliness and liveliness, I soon found out that elegance is a hallmark of all the Donna Chiara wines – most markedly the whites. ♣ Wine Spectator (29 February 2012), 88 points. ♦ A hint of flint follows through to a core of ripe melon, lemon-lime and chalk flavors, with light underbrush notes filling in the finish. ♦ Color: Bright deep gold. Nose: Mineral, Pear, green apple, hay, orange blossom. Palate: Full bodied, round. Slightly viscous. Tons of stone fruit, peach, apple flint and minerality (volcanic soil?). Ocean breeze, fresh grass, white flowers. . . Verdict: Awesome full bodied white wine bargain. ♦ We tasted two Beneventano Falanghina IGTside by side: The 2011 and the 2009 [this in 2012]. . . [Winemaker Angelo Valentino ] wanted us to taste the wines side-by-side so we could see how the wine has developed with a few years of bottle age. He said that they were very good vintages. The color of the wine had changed and so did the flavors and aromas. The 2009 was more developed, its aromas and flavors of citrus fruit with hints of apricot and pear were riper and easier to identify. I had to agree with Angelo, I would rather drink the 2009. ♦ Tropical fruit, banana, concentrated fruit squash with a rich and big structure. A little mineral stone character on the finish. ♦ The soil in the vineyard is chalky clay and there are 2,500 vines per hectare. The training system is Guyot and the harvest takes place the first week of October. Fermentation in stainless steel at controlled temperature for 40 days. 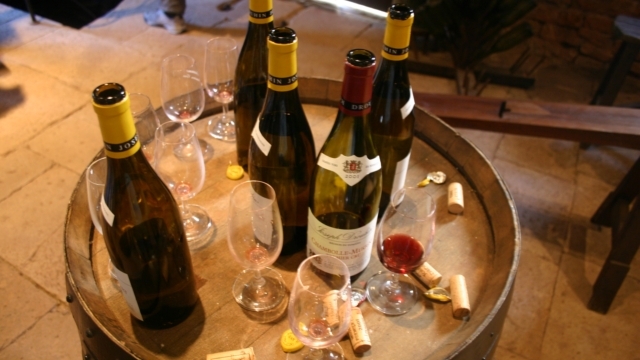 The wine does not undergo malolactic fermentation and does not see any wood. The wine is fresh with hints of citrus and floral aromas and flavors, good acidity, and is a very pleasant wine to drink. ♦ If you love big, buttery Chardonnays you should definitely try this Falanghina. It’s a smooth rich wine that recalls the way some Chardonnays can fill up your mouth, but without all the oak that’s become so hard to get away from. Laced with subtle spice and pleasant vanilla aromas, it will stand up without a chill on a hot day if you’re in a rush or away from a refrigerator. ♦ Brilliant straw. Quite ripe and with a nice spicy layer and hint of breadcrumb. Creamy - oak? Quite serious treatment. Full bodied, good length and pretty viscous. ♦ Not my favorite — until I had it with sardines. This white grape grows in Campania, along the ocean, and it’s a magical beautiful thing, but the grape tastes like serious ocean — salty, minerally and seaweed-ish. So serve it with something that can stand up to all that salty flavor. ♦ Here's a wine from an area of Campania known as the Campi Flegrei, a bit north and west of Naples. It's a volcanic terroir and the wine displays a distinctly stony, minerally character. It's clear in appearance and light straw in color. Dry and quite crisp on the palate, this is a wiry, light, tart, simple seafood white wine. ♦ Intense straw. Soft sweet pear fruit and hints of lees. Easy drinking. Acidity turns up briefly on a chewy finish. ♦ Falanghina from the boutique La Sibilla winery showed ripe fruit with minerals and smoked herb overtones. ♦ Nose: floral with an herbaceous element, minerals. Palate: brisk acidity, seashells, light body. ♦ La Sibilla–the source of well priced, minerally white wines from the Falanghina grape I’ve enjoyed for several years now . . . with plenty of complexity and minerality. ♦ Delicately scented, this offers aromas of honeysuckle, citrus blossom and pear while the round, juicy palate doles out white peach, mature apple and Mediterranean herb. A hint of almond closes the clean, lingering finish. 89 points. ♦ [Google-translated from Italian] The light is low, but the white cloth makes it possible to distinguish an intriguing straw yellow. The wine is a bit cold, it opens to the nose after a few minutes with reminiscent of yellow flowers and memories of exotic fruit, covered fairly quickly by a pronounced varietal minerality that is confirmed on the palate. In the mouth the wine is soft, sumptuous and, at the same time, of enveloping freshness and above all of ample sapidity and length. I hold it in my mouth for a few moments and feel a feeling of circularity in all areas of the palate. The olfactory taste match is precise and elegant. ♦ A fragrant Falanghina, this opens with a bright flower aroma, followed by honey and peach notes. There are touches of citrus and spice on the finish. 87 points. ♦ [Google-translated from Italian:] Light yellow straw and nuances of greenish yellow, very transparent. Nose: Intense, clean, pleasing and refined, opens with notes of pear, plum and hawthorn followed by aromas of apple, peach, citrus, pineapple and hazelnut. Palate: Fresh and balanced balance, good body, intense, pleasant flavor. Finish: Persistent finishing with pear, plum and pineapple memories. ♦ Aromas convey pear, green apple and flint. The crisp palate delivers nectarine, Granny Smith apple, pineapple, mineral and tinge of Mediterranean herb. It's nicely balanced, with bright acidity. 89 points. ♦ This Falanghina exhibits a medium yellow gold hue with, grapefruit, pear, and mineral aromas. It is delicate and flavorful on the palate with touches of cream and honey, and shows beautiful balance, with a long lasting finish. 89 points. ♦ One of my favourite white varieties, period. This fragrant Falaghina will seduce you with creamy fruit aromas such as peach stone, melon and quince over top rich honey, fine spice and lemon meringue. It has an oily weight and almost chewy palate, laden with beeswax, mineral and tangy citrus with a toasted core. Potent and succulent - a white wine to satisfy red wine drinkers! ♦ This delicately fragrant native white is one of the region’s oldest and noblest. Estate-grown at Rocca dei Leoni, it shows a fruity and floral bouquet of pineapple, yellow peach, roses and sage leaves confirmed on the palate, firm structure and well balanced components. Appealing and fresh, ideal with fish, white meat, soft cheeses. ♦ Color: An attractive greenish yellow with a few large bubbles round the rim and at the bottom of the glass. Nose: Very attractive and quite well developed cocktail in white fruit and fowers with savoury herbs. Palate: Dry and aromatic with medium body, refreshing acidity and a pretty grapeyness in addition the aromas from the nose and more smiling charm than my memory of slightly sterner offerings of this grape from Feudi San Gregorio. A very nice wine to accompany a Mediterranean style fishy Spring salad; 15.5/20++. ♦ The straw yellow in colour, the scent intense fruity and floral, with notes of banana, tropical fruit, white peach, and the savory taste and balanced, describe the typical traits of a lovely wine, fresh and light. ♦ A wine that indeed smells and tastes fresh, bright, with a salty minerality you often get from wines produced near a coast. This was well paired with a warm crusty savory pastry dish, but would also be great with light salads and white fish dishes. ♦ Falanghina Roccamonfina 2010 I.G.T. was a light yellow. The aroma was very fragrant with floral notes that changed to citrus. The taste was fruity with floral accents and yellow stone fruit. The finish was very crispy. This paired well with ham stuffed pasta. Caracci 2007 was aged in oak for six months. The color was a dark yellow. The aroma had yellow stone fruit and pineapple notes. Yellow stone fruit with a touch of caramel was on the taste. The finish was very crisp and long with caramel notes. ♦ The Terredora di Paolo 2008 version is 100% Falanghina; it has aromas of stone fruit, pear and a little banana. Flavors that come to the fore are apple, pear, pineapple and mineral, all wrapped up in a clean and crisp finish. Clams, mussels, shrimp and any firm white fish come to mind as great food match-ups. Or it's delightful to sip on its own. ♦ Deep straw yellow in colour, with aromas of citrus and wet river stones. Apple, pineapple and lemon zest flavours abounded in the medium body whilst rich honey notes melted into a bitter almond finish. Well structured with a welcomed bright acidity, this is a fantastic glass that can be paired with a wide variety of pasta and seafood dishes, or enjoyed on its own. ♣ Wine Spectator (August 2008), 90 points, #59 2008 Top 100. ♦ A vivid white, with peach. lemon, mineral and light honey. Full-bodied, with lots of fruit and a long, flavorful finish. Very delicious. Very good value as well. ♦ When you get tired of the “same old, same old,” Italy is the place to go for wines with distinctive personalities. OK, so maybe it’s not so easy to pronounce the names of the wines, but it’s sure easy to drink ones like this made from the falanghina grape by the winery owned by Walter Mastroberardino and his children Lucio, Daniela and Paolo. They may be the largest vineyard owners and winery in the area, but they handle their wines with the attention and care of artisans. This one is made to emphasize the delectable peach, pineapple, pear and apple fruit buoyed by tangy acidity. Serve it with a creamy pasta. ♦ From a top producer in the hills near Naples, this elegant, light-bodied white is simultaneously silky and lively, with subtle citrus, herbs and mineral flavours carried through to a crisp finish. Great for light seafood dishes. ♦ Zingy citrus fruit aromas and flavours, mineral and flinty. Admirable, modern Italian white. ♦ [It] was excellent and unusual. Just the sort of thing I was hoping for in an unfamiliar Italian white. Strong flavors, a little bit of almond and lemon and maybe minerality, typically Italian hint of bitterness, a nice smooth but not glyceriny feel in the mouth, a long finish. Surprisingly high in alcohol (14%) but able to stand up to it with concentration of flavor and freshness. Not something I would age, not super super complex, but not one-dimensional either. Great clarity of flavor, vigorous but pretty balanced. Not inexpensive but a very fair price for the quality...you are unlikely to get such concentrated flavor combined with balance, even elegance, for less. 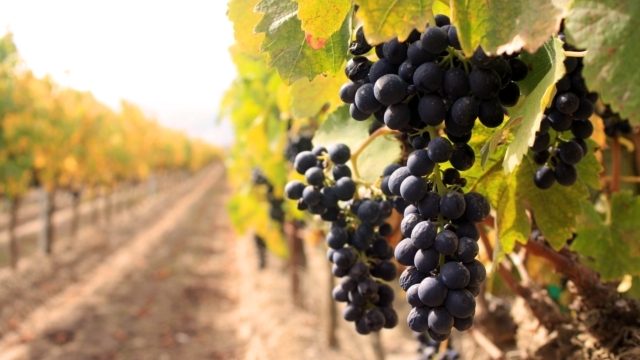 ♦ As a grape, it is usually drunk relatively young. It is usually fermented in stainless steel and not aged in any oak. This Terredora Falanghina DOC Irpinia is no exception. It is crisp and fresh. It has a floral/mineral profile. I spoke about the proximity to sea a little while ago, and that is also important for what is paired successfully with this wine.... swordfish, mussels, buffalo mozzarella. Yum! I found this wine fresh and clean and bright with really delicate fruit aromas and smooth on the palate. Here's what I thought: color: pale straw; nose: quince, honey, orange blossom; palate: Meyer lemon, honey, kumquat. DELICIOUS!! ♦ The Falanghina grape has been growing [in Campania] for the better part of 3,000 years; this one from the Mastroberardini family [who own Terradra] is racy and delicious, with no oak to get in the way of the crisp apple, quince, and orange peel flavours. ♦ Color: medium yellow. Bouquet: apple, pineapple,, white flowers, lemon. Taste: medium body, rich aroma of fruits mainly green apple and pineapple, very nice minerality combined with lively acidity. Overall score: 84 . . . This is fresh medium bodied wine with zesty acidity and floral aroma and fruity taste. It [2007 vintage] is rather different than 2002 vintage we have tasted in autumn last year here. This one is more fresh and lively, 2002 vintage was more mineral and round and given the higher acidity it upheld it in the aging. While it's not hugely ahead of the wines listed above, one might go for the Marisa Cuomo "Ravello" Bianco Costa d'Amalfi.